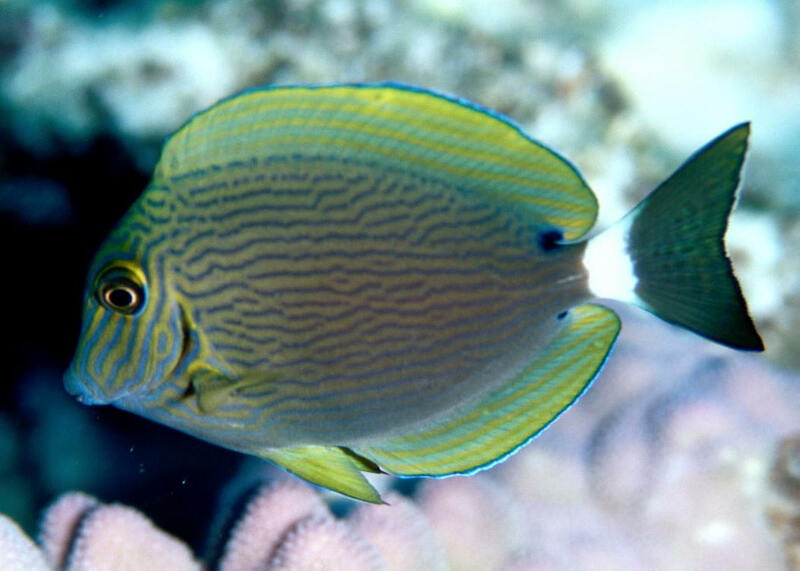 Acanthurus leucopareius (Jenkins 1903), the Whiteband or Whitebar Surgeonfish, tends to be a picky feeder, hard to train off its favored food, filamentous algae. To about eight inches overall length. Pacific; Southern Japan to Noumea over to Hawai'i. Hawai'i image of a juvenile. 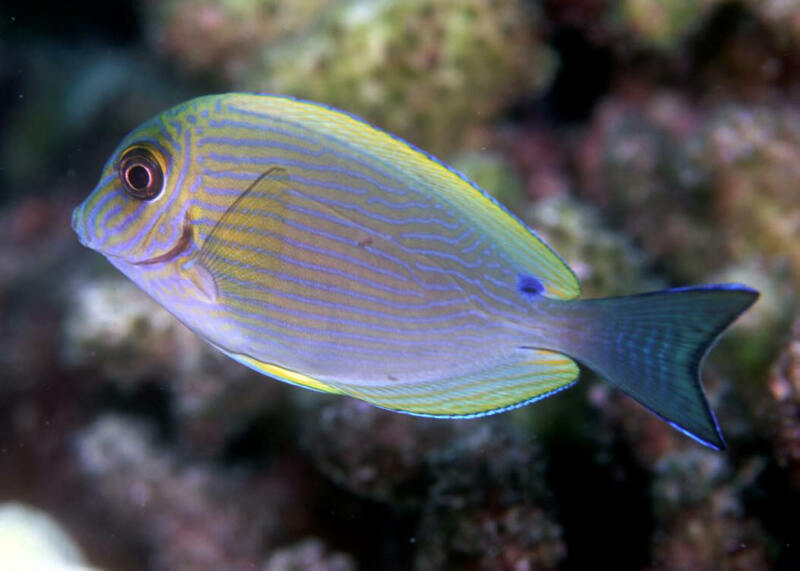 Acanthurus leucopareius (Jenkins 1903), the Whiteband or Whitebar Surgeonfish, tends to be a picky feeder, hard to train off its favored food, filamentous algae. To about eight inches overall length. Pacific; Southern Japan to Noumea over to Hawai'i. Hawai'i image of an adult. 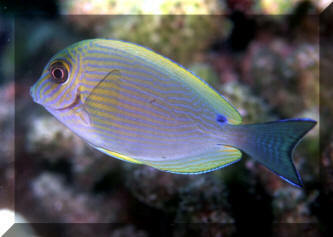 Acanthurus nigroris Valenciennes 1835, the Bluelined or Cuvier's Surgeonfish. Found throughout Oceania. To ten inches in length. A beauty that is often rare in the wild and absent in aquarium use. 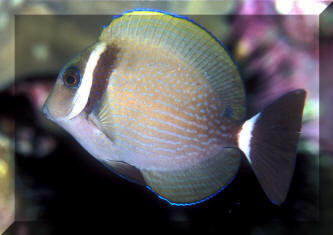 Hawai'i images, juvenile showing prominent black spot behind dorsal fin. Acanthurus nigroris Valenciennes 1835, the Bluelined or Cuvier's Surgeonfish. Found throughout Oceania. To ten inches in length. A beauty that is often rare in the wild and absent in aquarium use. 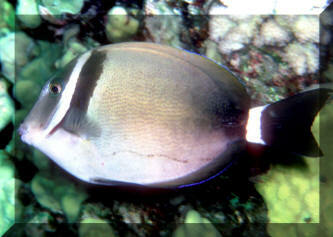 Hawai'i images, sub adult individual showing prominent black spot behind dorsal fins.